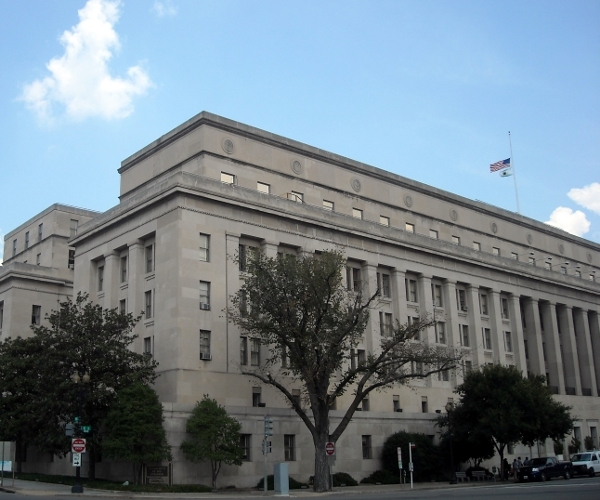 Google is suing the US Department of the Interior (DOI) over its contention that the department did not take Google Apps seriously in a Request for Quatation (RFQ) for the Department’s communication needs compared to Microsoft’s Business Productivity Online Suite. According to Tech Dirt, Google is saying that the DOI made the RFQ “unduly restrictive of competition” after it failed to convince the Department that Google Apps was on a par with Microsoft’s product. The DOI, for its part, contents that Google Apps do not offer consolidated email and enough security, which of course Google disagrees with. Google continued to protest when the RFQ was released, only to be rebuked again by the Government Accountability Office (GAO), which said that Google can’t even protest because it does not have a GSA contract so it can’t sell to the government anyway (this is kind of surprising, frankly – you’d think Google would have this). We’ll email Google for comment to see if they can expand on its reasons behind the lawsuit, but if you wish, you can read the entire complaint below. Google is a proponent of open competition on the Internet and in the technology sector in general. Here, a fair and open process could save US taxpayers tens of millions of dollars and result in better services. We’re asking the Department of Interior to allow for a true competition when selecting its technology providers. Read next: How is Internet Explorer 9 doing?